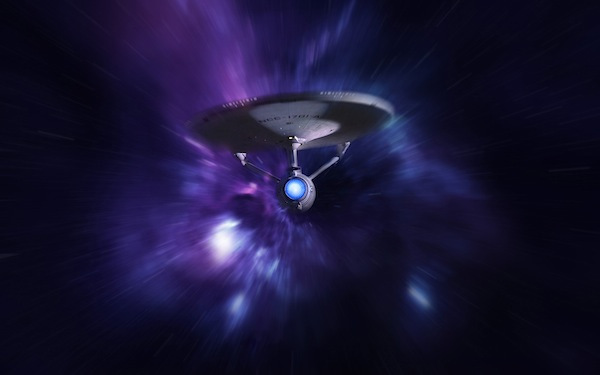 On Friday, I got a call from Mooney Goes Wild , the daily science programme on Irish national radio, asking me to participate in an interview concerning NASA’s recent interest in creating a WARP drive for space travel. I’d heard this interesting story over Christmas and I like science on the radio, so it was fun to look up a few details and take part in the discussion. The live interview took place that very afternoon, right in the middle of our College Exam Boards (those weighty meetings when lecturers come together with external examiners to decide which students pass and which don’t). Our current physics extern, Professor Peter Mitchell of UCD, taught me as a student, so we had fun discussing the NASA project over lunch. In the event, the interview was very interesting; I thought the RTE panel of Olan Mc Gowan, Eanna ni Lamhna, Richard Collins and Terry Flanagan asked great questions and we all enjoyed ourselves. Below is the Q&A script I prepared in advance (I always run up a draft script as it helps me organize my thoughts and it provides interviewers with a jumping-off point). The panel’s questions went a good deal further, you can hear a podcast of the interview here. PANEL: First of all, what is a warp drive? 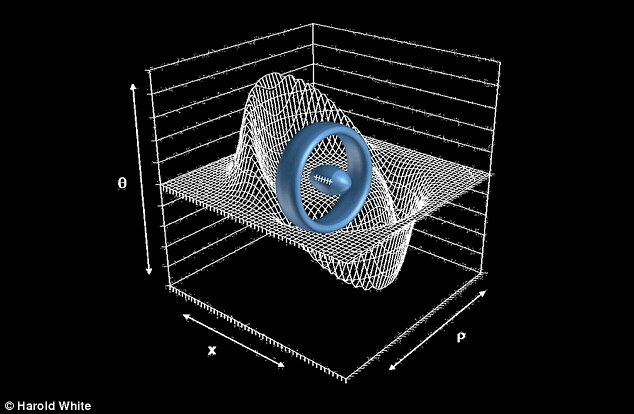 COR: It’s the word used for a hypothetical engine that could drive a spacecraft by distorting or ‘warping’ space. In principle, this could allow the ship to travel faster than the speed of light, taking a shortcut to reach remote galaxies in hours instead of millions of years! (The device turns up in science fiction in order to enable people to get from one galaxy to another without dying of old age on the way…even travelling to a nearby planet takes several years). PANEL: How is it supposed to work? I thought faster-than-light travel was supposed to be impossible? COR: That’s right. According to Einstein’s theory of relativity, no material body can reach the speed of light. If it comes close to this speed, the body gets bigger, and heavier, and it cannot match the speed of something with no mass (light). There is a lot of evidence to suggest that this is exactly what happens, it’s amazing to see particles like protons accelerated at facilities like the Large Hadron Collider up to speeds like 99.99% of the speed of light, but never quite reaching nature’s speed limit. PANEL: So, how does the warp drive work then ? COR: Another prediction of relativity is that space and time are not fixed, but affected by motion and by gravity. For example, there is a huge amount of evidence that the space of our universe is continually expanding. In principle, a patch of space can move at any speed; if you could somehow warp a bubble of space around an object ( or spaceship), then that object would travel at the speed set by the distortion..
PANEL: Has this mad idea been around for a while? COR: Yes,in principle. The problem is that the energy required to make that bubble of warped space is far greater than any energy available. What’s new is that physicist Harold White at NASA thinks he can reduce the energy required, with a clever design; the object (spaceship) is surrounded by a thin vacuum ring of a special shape that causes the space just behind the spaceship to expand, and just in front to contract; the difference propels the spaceship very fast indeed! Of course that’s just the theory..
PANEL: Do you think it will work? COR: No, I doubt it, even with objects on the atomic scale. However, we will learn a lot by trying, there’s nothing wrong with the principle. For example, many cosmologists believe that our whole universe expanded at speeds far greater than light during the first instant (the theory of cosmic inflation), before settling down to today’s more sedate expansion. But as regards investment, I wouldn’t put any money in ‘warp drive’ shares just yet! 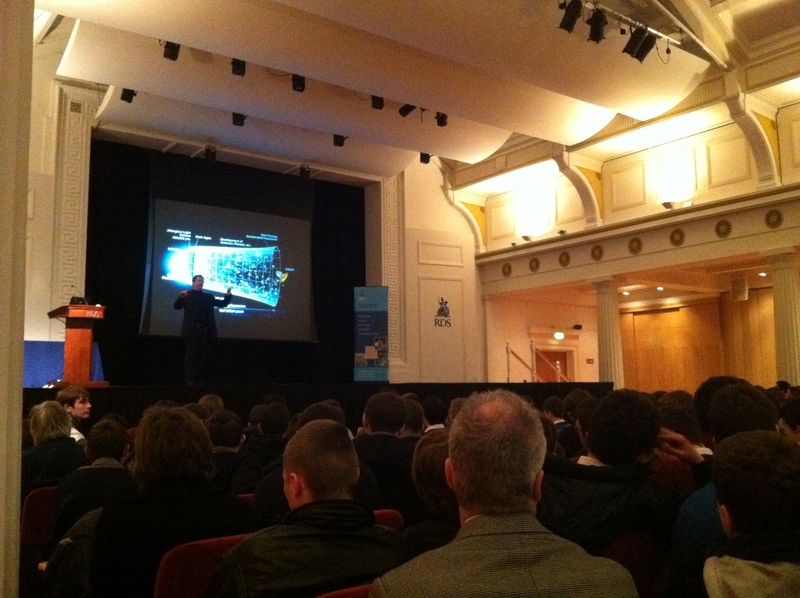 On Monday evening, I gave a public lecture on the Higgs boson at Trinity College Dublin. 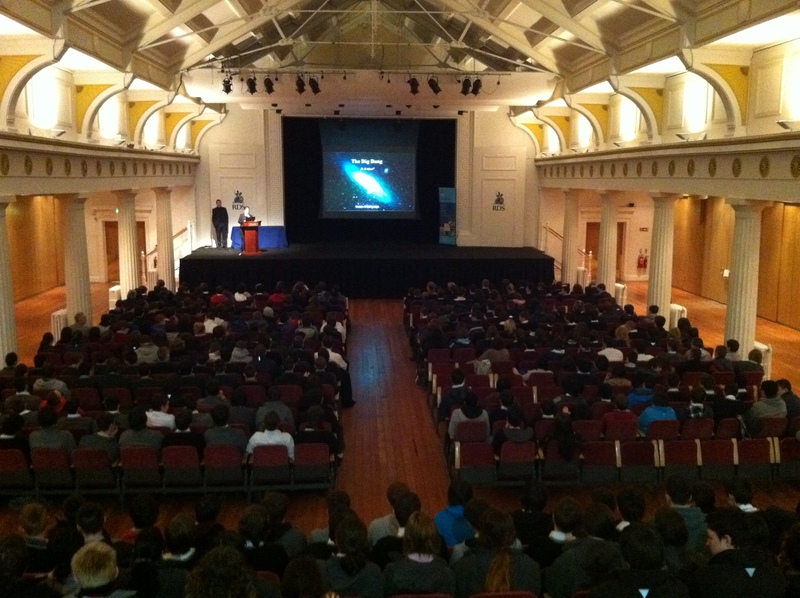 The talk was organised by Astronomy Ireland and I think it was quite a success; 200 tickets were sold and quite a few people had to be turned away. How to explain the basics of particle physics to a public audience? As always, I presented the material as a short history of discovery: from the atom to the nucleus, from protons and neutrons to Gell-mann’s quarks. I also included some theory on the fundamental interactions, right up to the Standard Model, electro-weak unification and the role of the Higgs field in electro-weak symmetry breaking. Not for the first time, I came away with the impression that the Standard Model isn’t as intimidating for the uninitiated as you might expect. As for physics beyond the Standard Model, the audience seemed to take the hypothesis of grand unification in their stride, and the connection between particle experiments and the early universe struck a chord, as always. The results It was a pleasure to present the fantastic results of the ATLAS and CMS teams, first announced at CERN last July. Giving such talks is a lot easier now that the data are publicly available in two beautiful papers on the ArXiv here and here. I gave an overview of the main findings in the context of previous experiments at CERN and at the Tevatron, and I think the audience got a feel for the historic importance of the result. Certainly, there were plenty of questions afterwards, which continued in the pub afterwards. So what about that title? 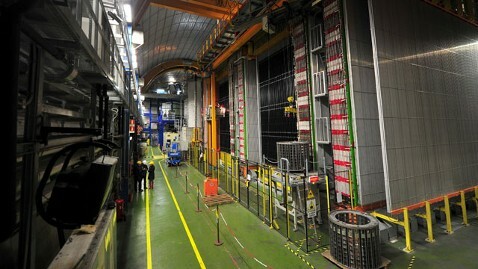 Yes, I did agree to the title ‘The God particle at last’? I am aware that most physicists have a major problem with the moniker; it is sensationalist, inaccurate and incurs a completely gratuitous connection with religion. (Some religious folk consider it blasphemous, while others misunderstand the term as evidence for their beliefs). All of this is true, yet I must admit I’ve got to like the nickname; it is catchy and just mysterious enough to cause one to think. 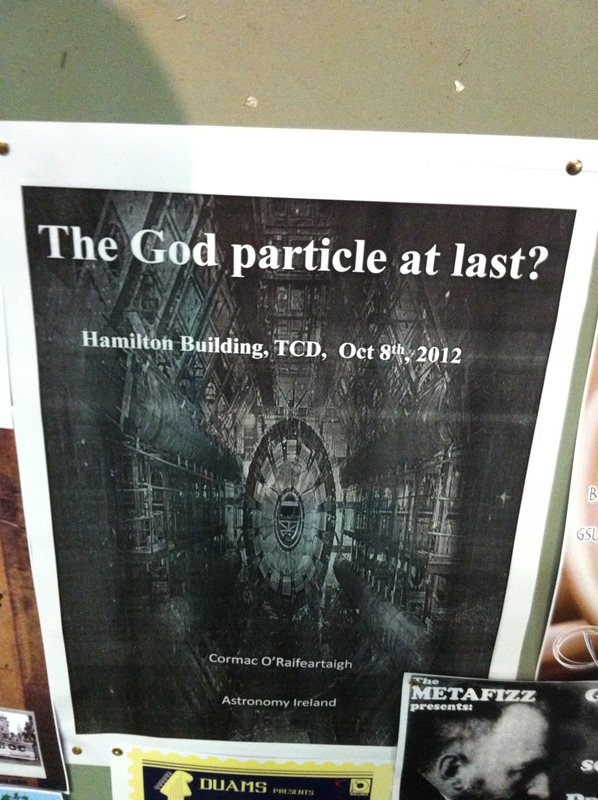 I imagine a tired lawyer catching sight of the poster as she walks home after work; ‘God particle’ might cause a moment of reflection, where ‘Higgs boson’ will not. At least the former expression contains the word ‘particle’, giving the reader some chance to guess the subject. Of course the ‘God’ part is hubris, but is hubris so bad if it gets people thinking about science? 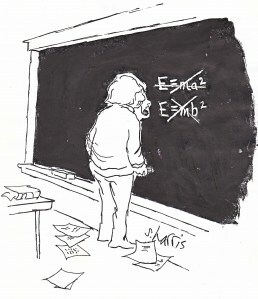 Also, I disagree with commentators who insist that the Higgs is ‘no more important than any other particle’. Since all massive particles are thought to interact with the Higgs field, finding the particle associated with that quantum field is of great importance. So is it found? 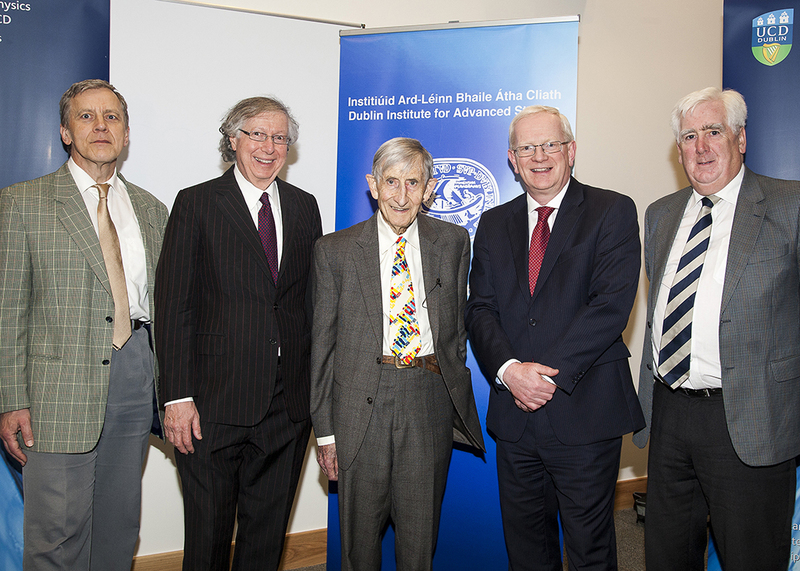 CERN Director General Rolf Heuer stated in Dublin, “As far as the layman is concerned with have it. As far as the physicist is concerned, we have to characterize it”. Such characterization has been going on since July. 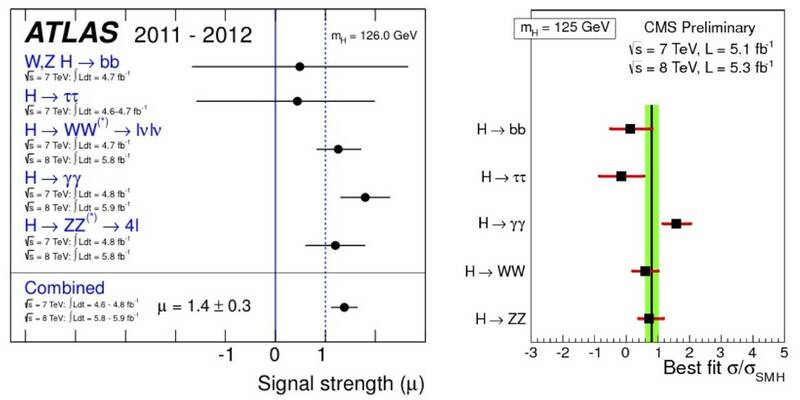 Without question, a new particle of integer spin (boson) and mass 125 +- 0.5 GeV has been discovered. 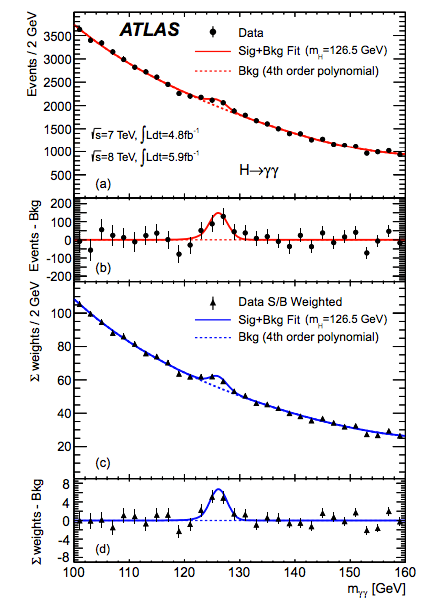 So far, the branching ratios (the ratio of various decay channels to lighter particles) match the prediction of a Standard Model Higgs boson very well. So it looks and smells like a Higgs, and we are all getting used to the idea of the Higgs field as reality rather than hypothesis. (That said, there is still the possibility of spin 1 or 2 for the new particle, but this is not very likely). 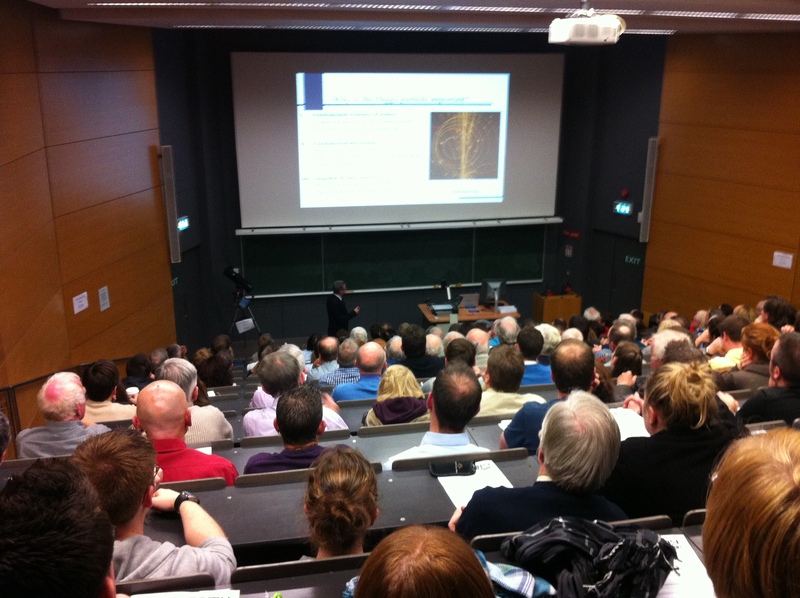 I gave another talk on the OPERA ‘faster-than-light’ neutrino experiment on Wednesday evening at University College Cork (UCC). I was booked months ago to give the talk as part of the UCC Public Lecture Series and it’s always a pleasure to visit the beautiful campus at UCC. 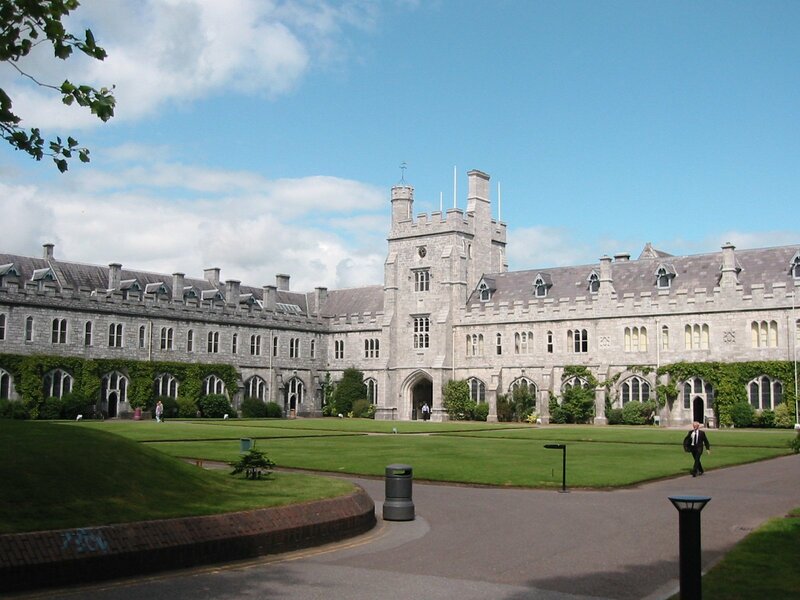 University College Cork – the nicest campus in Ireland? Of course, I was concerned the topic might be a bit of damp squib. As everyone in physics knows, a technical fault associated with the OPERA experiment was recently uncovered. Specifically, a connector cable for GPS clock synchronisation was found to be faulty. Between this and other problems, the ‘faster-than-light’ result has been withdrawn (see here for details). 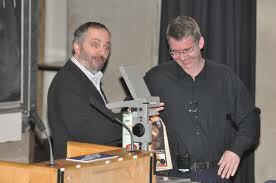 In fact, the lecture was great fun. We got a good turnout and I made a point of using exactly the same slides I used when the OPERA result was first announced (see here for details). I thought the parts of the talk where I explained the grounds for scepticism from the viewpoint of both special and general relativity (theory and experiment) looked well in retrospect, though I tried hard not to say We told you so. In conclusion, I introduced a few new slides where I discussed what lessons could be learnt from the incident e.g. 1. If your result is in conflict with well-known theory, check, check and check again before you publish (anywhere). 2. If your result is in conflict with decades of experiments, check even more carefully. 3. Never underestimate the media appetite for ‘Einstein wrong’ stories. Everyone has heard of Einstein and everyone has heard of the speed of light – this story was always going to be huge. 4. ‘Einstein not wrong after all’ is not such a great media story. In consequence, many members of the public will never get to hear of the correction. Bear this in mind before you go public with a result that may later have to be corrected. Check your cables – all of them! The slides I used for the UCC talk are here and I will upload the video in a day or two. 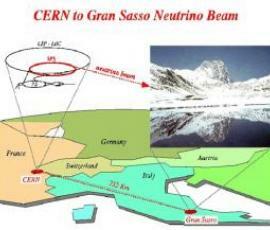 This just in: a group working on an extremely similar neutrino experiment at Gran Sasso have announced the observation of neutrinos obeying the speed limit, as normal. This pretty much refutes the OPERA result completely. See here for details. Yesterday evening, I gave a public lecture in Dublin on the Gran Sasso neutrino experiment, hosted by the Irish Skeptics Society. 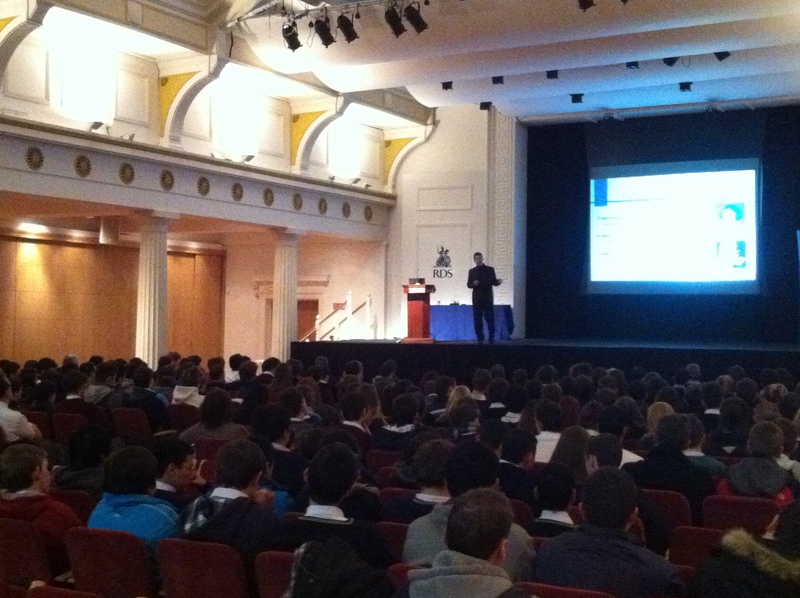 The event formed part of Maths Week Ireland, an initiative co-ordinated by CALMAST, the science outreach group at our college. 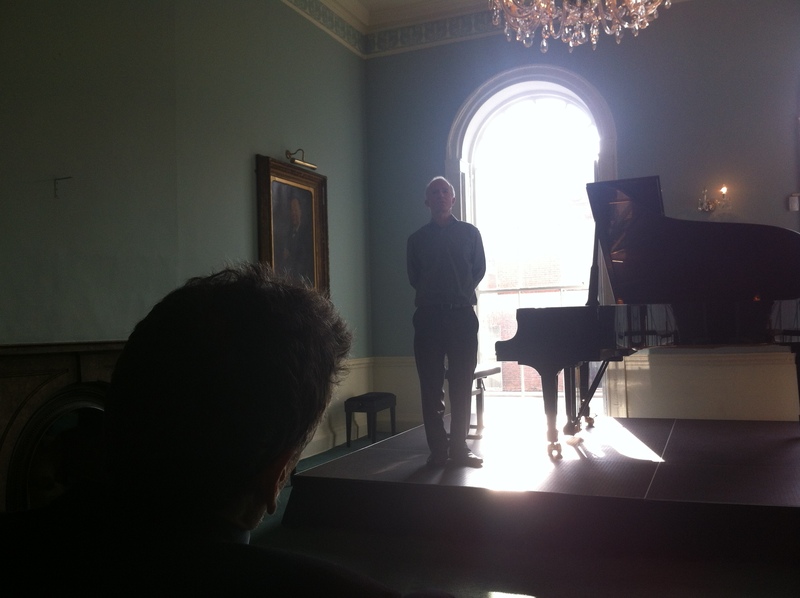 We had a great audience turnout and I enjoyed the Q&A afterwards immensely. Below is the abstract and you can find the slides for the talk here. I suspect I was invited to speak because of a letter I had published on the subject in The Irish Times (below). 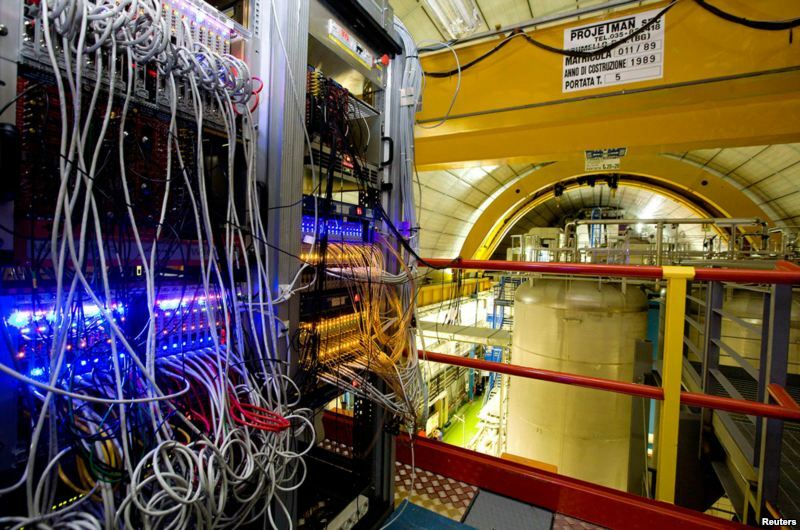 Although the Gran Sasso experiment has certainly raised awareness of physics, I think the way the media are portraying this experiment as an ‘Einstein wrong’ story is most unfortunate. It is far too soon to reach that conclusion and the overall effect is to make science seem very uncertain. It is more Public Misunderstanding of Science than PUS, in my view. 1. Light is carried by particles of zero mass and it follows that there are fundamental theoretical reasons for supposing that the speed of light in vacuum represents a natural speed limit for particles of non-zero mass. 2. Thousands of experiments have verified that the tiniest particles of matter can be accelerated up to speeds close to, but not equal to, this limiting speed. 3. The recent Gran Sasso experiment involves measurements of time and distance of unprecedented precision, yet it was not designed for this specific purpose; thus there are many potential sources of systematic error. I see my lecture got a short review in today’s Irish Times. It’s not a bad overview, considering the writer wasn’t at the lecture. The last sentence doesn’t make sense, however – I suspect she meant supernovae instead of black holes! 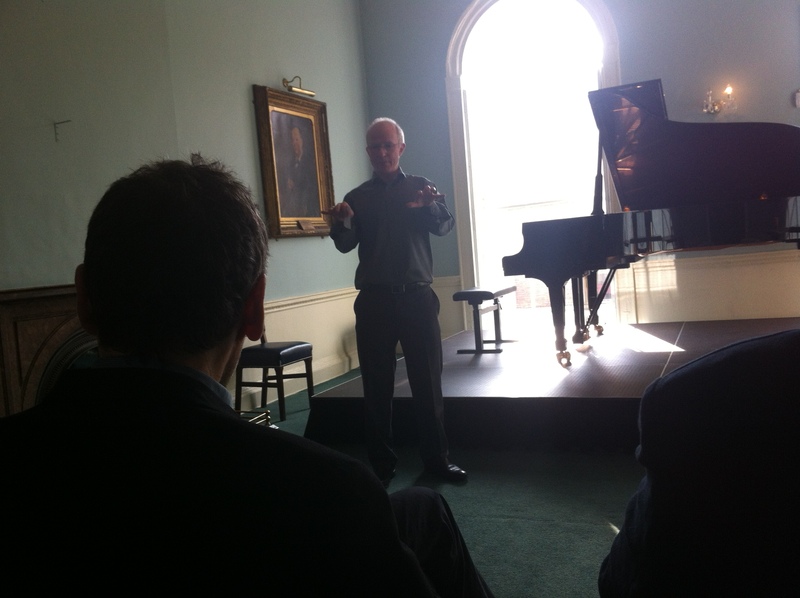 Just caught BBC program on the experiment (Marcus du Sautoy). Superb, superb program. Nothing like the players themselves for conveying the concepts of science..